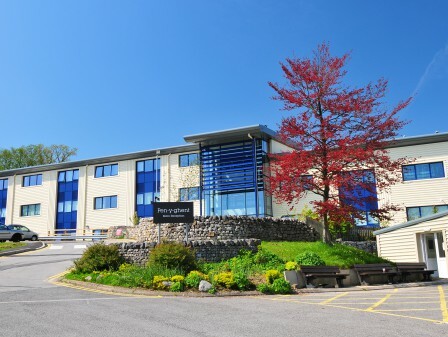 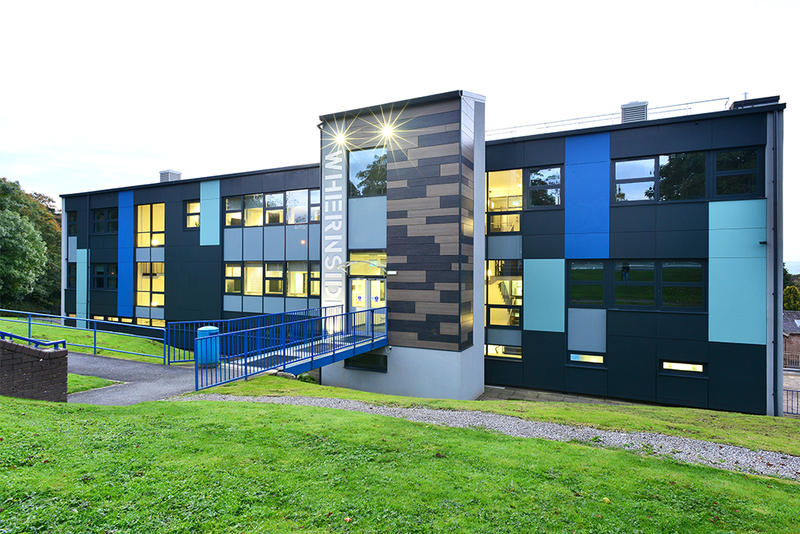 The main design drivers for the refurbishment of this building were to enhance its environmental credentials by making it more energy efficient and to reduce the life cycle costs in terms of operation and maintenance, whilst at the same time creating a focal point for the College that enhances the student experience. 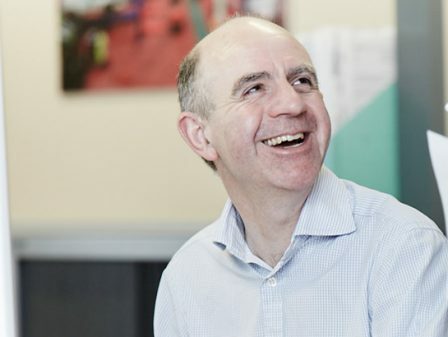 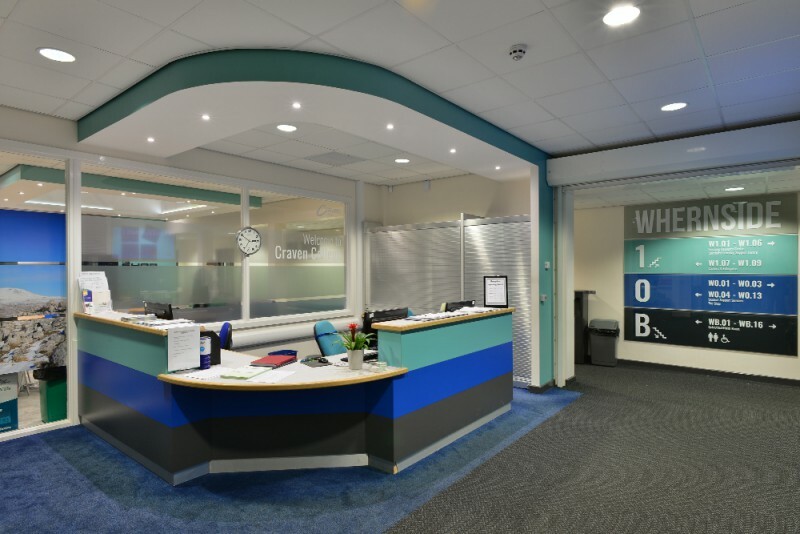 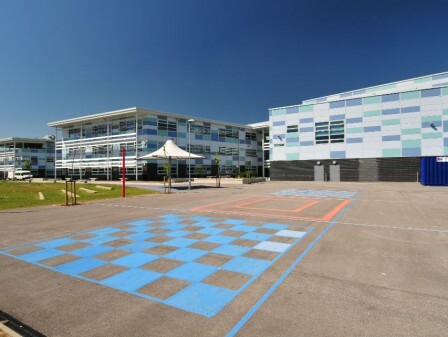 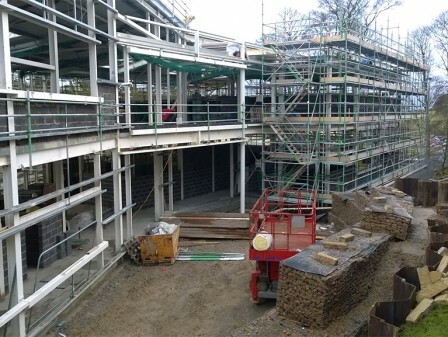 The internal modifications included upgrading toilets, classrooms and offices, creating a new campus reception, centralised student services zone and a vibrant social space including the relocated college shop. 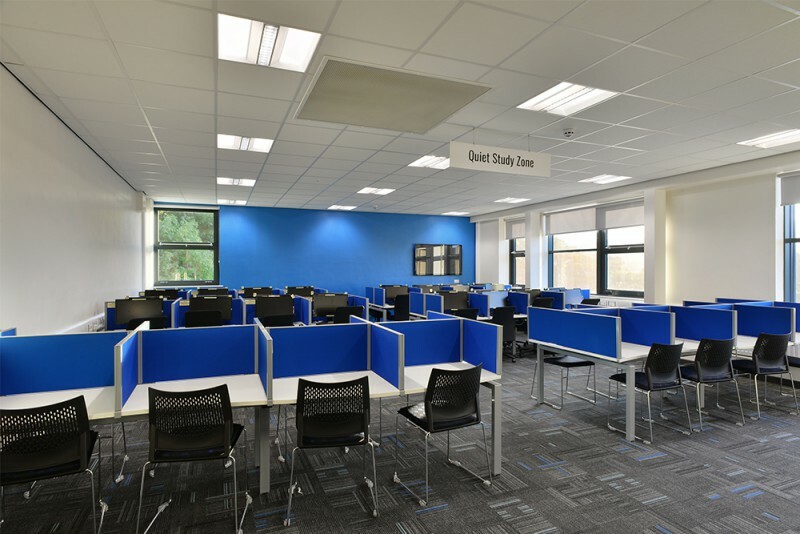 The top floor reorganisation included a more open plan Learning Resource Centre. 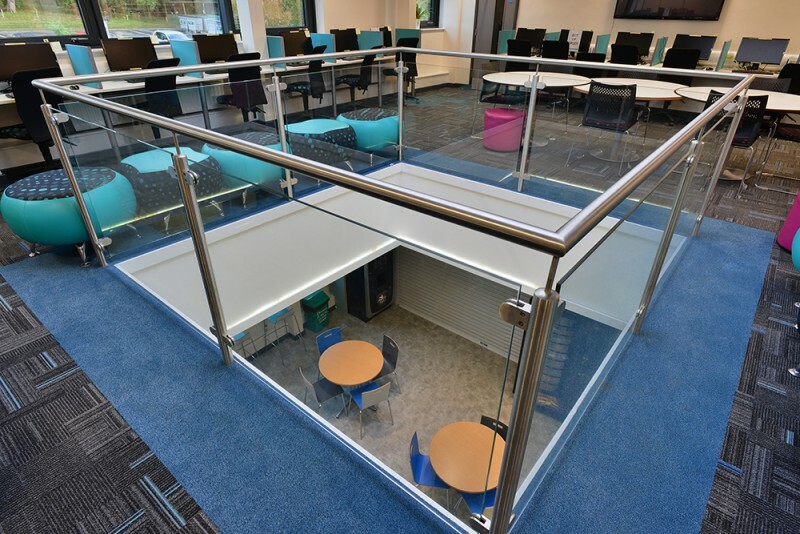 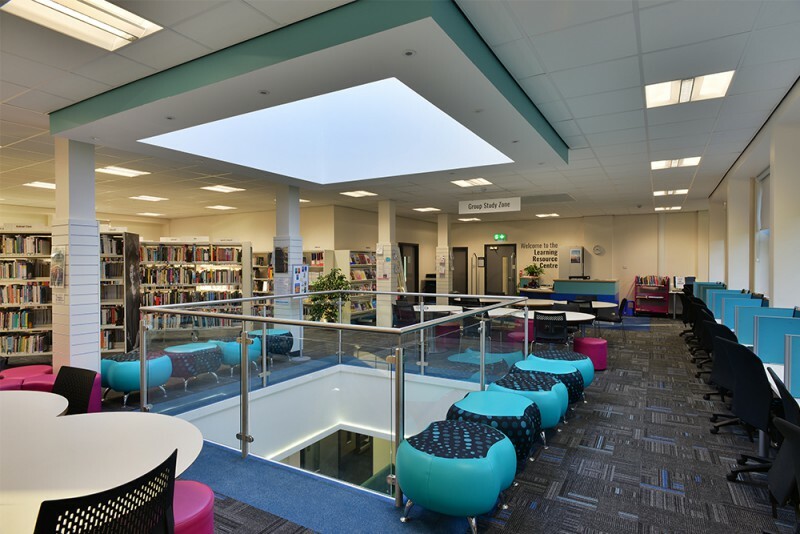 A new floor void between the ground floor social space and the top floor LRC promotes greater connectivity and the addition of a new rooflight over enhances the natural light and ventilation strategy. 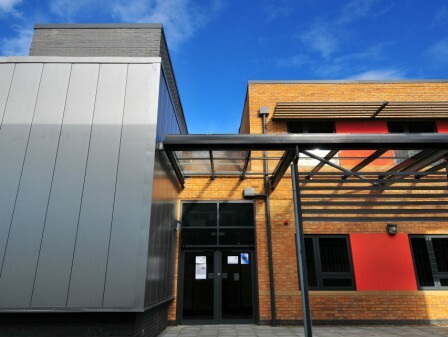 The two existing long elevations comprised a timber curtain wall system and the two end gables were clad in facing brickwork creating an external leaf that was not thermally efficient or airtight and contributed to large internal temperature fluctuations depending on the season. 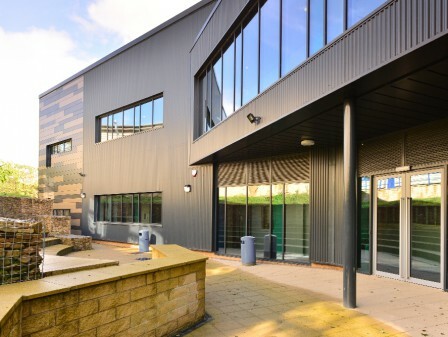 The approach the design team took was to remove the existing cladding and replace the external envelope using a system of thermally efficient double glazed window units and insulated cladding panels. 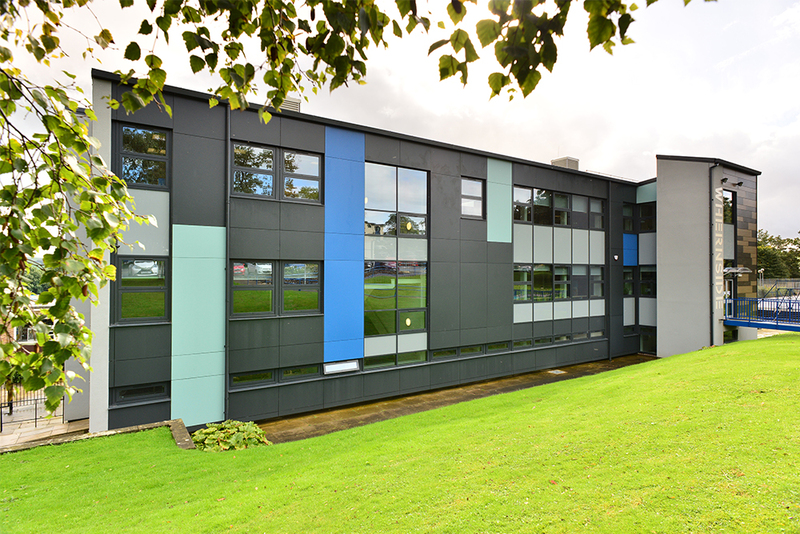 The use of carefully specified glass and internal blinds helps to control solar gains, especially on the south facing elevation. 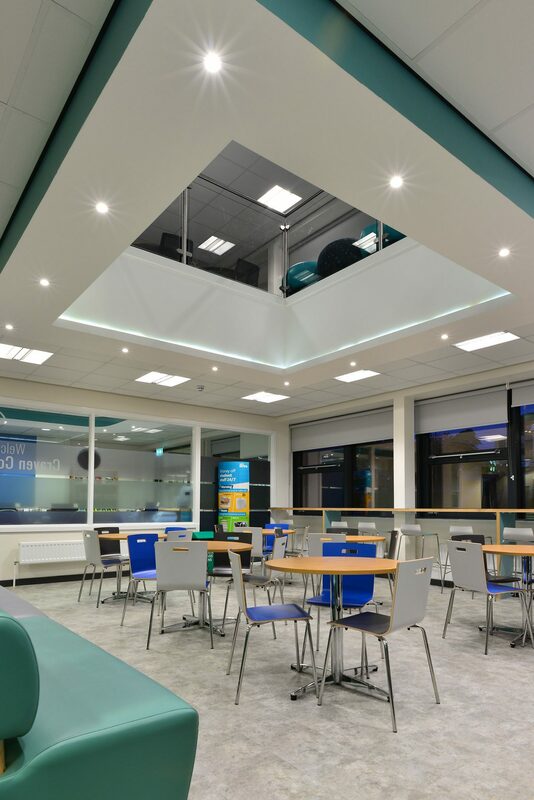 Opening window lights and roof mounted ventilator units promotes a natural ventilation strategy which, together with the increased thermal properties of the shell, reduces the building’s reliance on energy.